Grief is, unfortunately, something every human will face at one point or another during their lifetime. There are many circumstances we must face that will cause us to grieve. Whether you have recently lost a loved one, you are working through the end of an important relationship, or your four legged pal has passed away, you do not need to face the grieving process alone. We provide gentle, but effective grief therapy in Oklahoma City. No one is immune to struggling through the grieving process, and no two people will experience grief the same exact way. 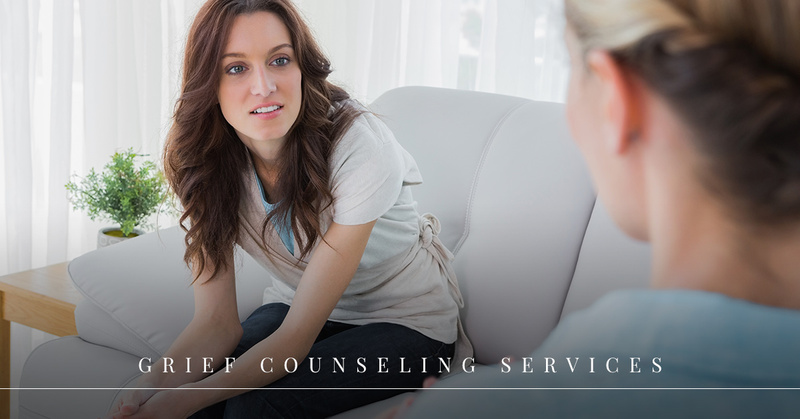 Here at Affinity Counseling, we provide counseling services tailored to your specific and individual needs. Each one of our staff members has their own approach for tackling grief, and through grief counseling they can help you navigate the pain you are experiencing. You have probably heard about the stages of grief before. Traditionally many of us were taught grief follows a specific set of steps. Although these stages can be useful tools in understanding the many emotions of grief, they are rarely experienced in such a linear and organized fashion. Nor does everyone experience each stage the same way or with the same intensity. It is much more helpful to think of grief as a continuous cycle. You may move in and out of a variety of emotions on your path to acceptance, and you may not reach acceptance in the same amount of time as someone else facing a similar situation. It is important to never compare yourself during the grieving cycle. You truly have to walk this journey in your own way, and we are simply here to help you work through the intense pain grieving a loss brings us. Sometimes grief is sudden, and is the result of a changed circumstance. Sometimes, however, grief is a long process you have been experiencing for many years. Depression can wind up being a result of a loss, and we can help you target ways to handle a general feeling of the blues. The first step is to reach out for help. Contact our team and we will set up a time for you to meet with one of our therapists. We begin by ensuring you and your therapist are a good fit, and after this your therapist will work on finding the right grief therapy for your particular needs. Our counseling services are not a one-size-fits-all, so no matter who you are, we are here to help.